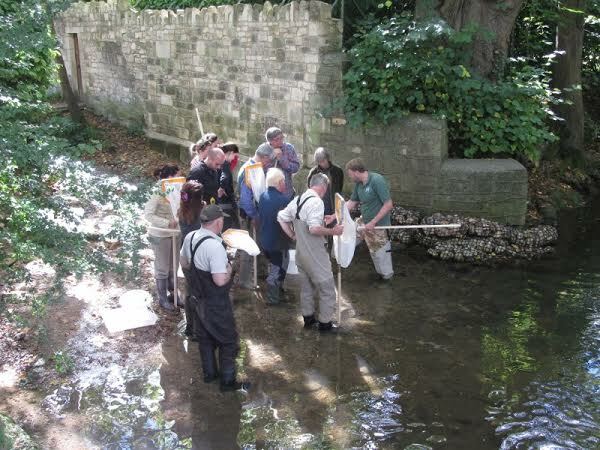 The Angler’s Riverfly Monitoring Initiative (ARMI) is a national scheme, launched by the Riverfly Partnership in 2007 to enable anglers, interested groups and individuals to monitor and help to protect their local rivers. The scheme helps ensure rivers are monitored more widely and at greater frequency than is possible by the Environment Agency alone. Pollution incidents can occur in rivers from many different sources, which can have disastrous effects on the river environment and wildlife which depends on it. Certain invertebrates are very sensitive to pollution and can be used as effective early indicators of pollution events, which sometimes are not obvious to a passer by (unlike large fish kill events). By monitoring certain inveterbrate species, monitors can identify a pollution event and enable a rapid response before the problem becomes irreversible or wipes out entire watercourses. The ARMI monitoring technique involves volunteers taking 3-minute samples from the river bed each month, and recording the presence and abundance of eight pollution-sensitive invertebrate groups. 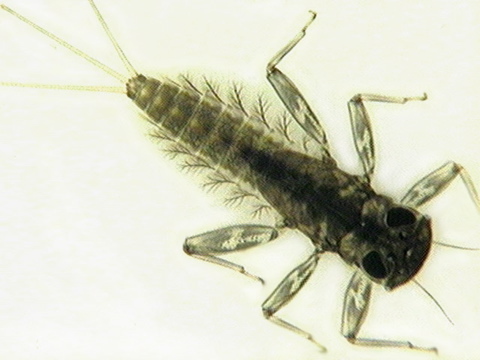 The focus of the sampling is on ‘riverflies’ – mayflies, stoneflies and caddisflies. 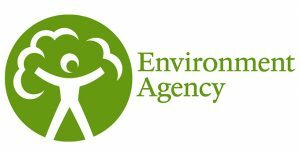 If invertebrate numbers drop below a ‘Trigger level’ (expected population abundances), the Environment Agency is notified so that the problem can be identified and action taken. The Riverfly data held by each river group will allow for long-term changes to be identified and will therefore help us to get a better understanding of invertebrate populations. ARMI is already used widely in the UK as a ‘neighbourhood watch’ for rivers, and has proven effective in identifying pollution incidents and ensuring action is taken. In several cases this has led to prosecution of pollutersand has prevented similar future incidents. 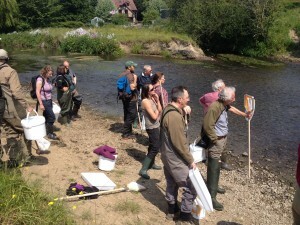 BART is the Riverfly Partnership hub for the Bristol Avon Catchment, as we coordinate Riverfly Monitoring and run training sessions for volunteers. BART run several training sessions a year. For more information, or if you would like to become a Riverfly monitor, please email Martyn at emhale@globalnet.co.uk to be added to our trainee list. Thanks to funding from the Big Lottery Fund’s Awards 4 All programme, BART have been able to train 50 monitors in 2017. However we are always looking for more funding to train more volunteers!